Display every possible command at all times. This lets you see all the possible commands you can choose but can also overwhelm you with too many choices. Hide the commands you rarely use. If you want to see all the commands stored under a particular menu title, you have to click the Expand button at the bottom of the menu title. Hide the commands you rarely use but display them automatically after a few seconds. • Click Tools –> Customize. • Click View –> Toolbars –> Customize. 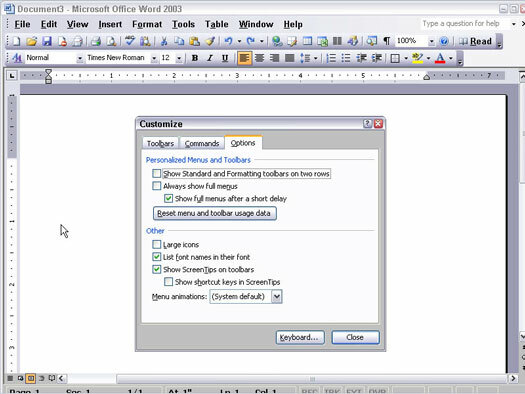 A Customize dialog box appears, as shown in Figure 1. 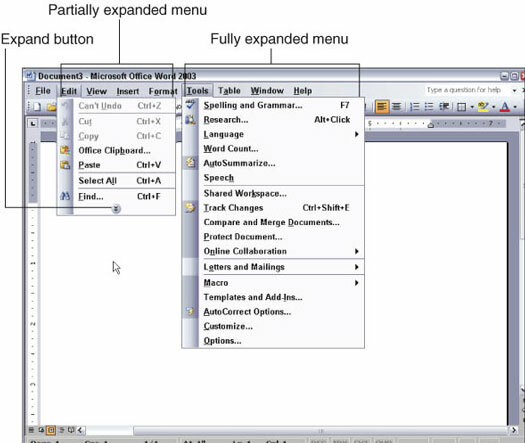 Figure 1: The Customize dialog box lets you modify the way menus work. • Always Show Full Menus: If checked, this option makes the drop-down menus display every possible command as shown in Figure 2. • Show Full Menus After A Short Delay: If checked, this option waits a few seconds before showing the less frequently used commands on a menu. Figure 2: Menus can display all commands at all times.